Hanna-Attisha struggled to get the attention of the authorities after the switch. The county’s health-department representative tells her that lead in the water was not a concern of theirs, only lead from paint chips and dust. Even an EPA manager, who issued a report to his supervisors that he found high levels of lead in Flint’s water supply, was reprimanded and labeled “a rogue employee.” However, something was obviously wrong. Just six months after the water switch, General Motors got a government waiver to go back to using Lake Huron water. The company noticed that its engine parts were being corroded after the switch. At the core of the government’s unresponsiveness, according to the doctor, is a breakdown of our democracy. Michigan’s Republican Gov. Rick Snyder supported a law that allowed him to appoint powerful emergency managers (EM) of cities whose budgets were deeply in debt. The EMs were accountable to the governor, not local governments, to pursue strong austerity measures. Because it was too costly, Flint’s EM rejected the city-council vote to go back to Detroit’s water supply due to consumer-health complaints. The most effective countervailing force was the ability to collect blood-sample data, which the media could then inform the general public. 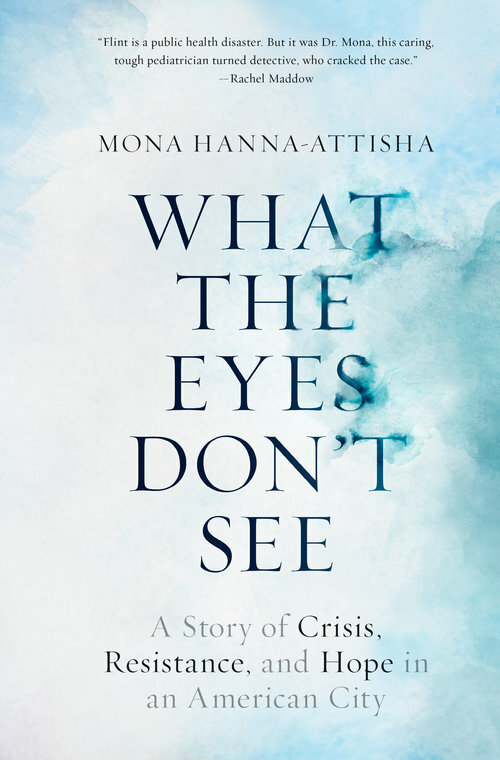 Through repeated requests and the support of dedicated professionals, Hanna-Attisha was able to acquire scientifically reliable data, which the Flint Journal and Detroit Free Press released. It was only then that Flint’s mayor was forced to issue a health advisory about lead in the water. The government agencies, which had resisted addressing lead in Flint’s drinking water, finally succumbed to citizen activism and the exposure from a free press and had to admit that there was a serious health problem. As the doctor concludes, “If we stop believing that government can protect our public welfare … what do we have left?” Her book’s message is that we each have the power to fix things, to make the world safer by opening one another’s eyes to problems. Her book reinforced my belief that the first step to becoming a citizen activist is seeing the world as it should be, not as it is given to you.